The recent purchase of the region’s largest media company is drawing a variety of local reaction, with most media observers expressing optimism about the San Diego Union-Tribune’s future. 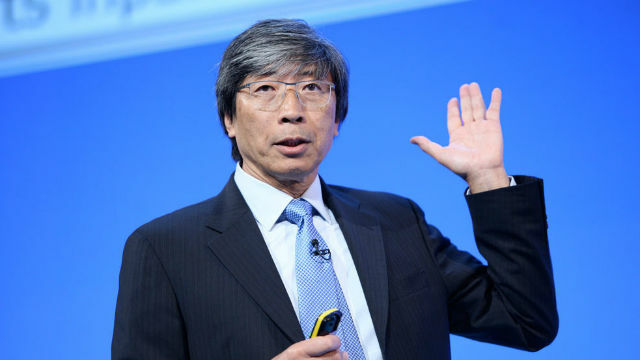 Last week, Chicago-based Tronc agreed to sell the Union-Tribune and Los Angeles Times to biotech billionaire Patrick Soon-Shiong, one of Los Angeles’ wealthiest residents and a minority owner of the Los Angeles Lakers. The purchase price was $500 million in cash, plus the assumption of $90 million in pension liabilities. The acquisition is the San Diego newspaper’s fourth change in ownership since March 2009, when private investment firm Platinum Equity took over from the Copley family. The latest sales comes as the newspaper is celebrating its 150th anniversary this year. Responding to the sale, local leaders in media, advertising, public relations and academia offered a variety of viewpoints about the transaction. “Looks like the new owner is interested in creating a voice for leadership and innovation in the western U.S. Could be very exciting,” said advertising industry veteran Sheila Fox of Fox Marketing Network. For Kristen Castillo, 2018 president of the San Diego Press Club, the sale represented another change in the local media landscape. “We are hopeful this sale protects the integrity of news while also supporting our fellow journalists,” she said. Another local professional group, the San Diego Society of Professional Journalists, urged the new owner to focus on local news. J.W. August, an SPJ board member and NBC 7 San Diego producer, said Soon-Shiong’s purchase augers for stability and support for good journalism. For public relations professionals, the concern was building and maintaining strong relationships with the newspaper’s staff. 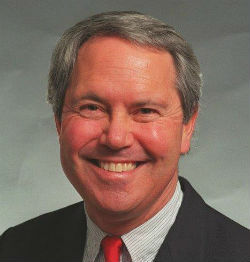 Mark Larson, a radio talk-show host and political commentator, noted the “mind-boggling” purchase price, which he said was largely due to the Los Angeles Times. Glen Broom, SDSU professor emeritus and namesake of the school’s Glen M. Broom Center for Professional Development in Public Relations, was hopeful for an increase in investigative reporting. 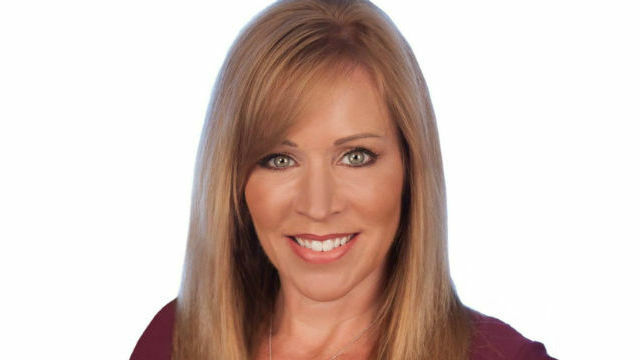 After more than 20 years in the Coachella Valley appearing on local TV hosting specials and reporting the weather (spoiler alert: it gets hot outside), Ginger Jeffries has joined KUSI-TV as a weekend morning anchor. She worked for 19 years for ABC affiliate KESQ-TV before switching to NBC affiliate KMIR-TV in 2015. She started at KUSI earlier this month. As a student at San Diego State University studying biology, Jeffries had planned to follow her surgeon dad into medicine. But when her sorority president who was the editor of the campus paper asked her to write a piece for the paper, “Something happened,” Jeffries said. With degrees in biology and journalism, a stint at a San Diego AM radio station and nine months in Eureka, Jeffries arrived in Palm Springs in 1996 as a general assignment reporter and weekend anchor. Over the years, she earned multiple Emmy Awards and was recognized as the town’s Best TV Personality more than a dozen times. Last year, Jeffries married former PGA Tour Professional Bryan Geiberger. The San Diego Union-Tribune’s longest tenured newsroom employee at 44 years has announced he will retire March 31. Roger Showley, a third-generation San Diegan, has covered mostly real estate development and design since joining the newspaper as a reporter in March 1974. For 20 years, Showley wrote a column called “Smokestacks and Geraniums.” His beats throughout his career also have included historic preservation, politics and pop culture. For a while, he was the newspaper’s designated reporter on Harry Potter stories. Showley grew up in Point Loma, attended Point Loma High School and wore the “Pointer the Dog” mascot costume. His senior year of high school (1965-66) was spent as a foreign exchange student in the Netherlands (Showley speaks Dutch). During his four years attending the University of California San Diego, Showley was a stringer and campus correspondent for the old Evening Tribune newspaper, including while he was in Hong Kong his junior year (1968-69). In 1970, he was a member of UCSD’s third graduating class. After college, he worked in Washington, D.C. as summer intern and then a staffer for the White House Conference on Children and Youth (1970-71), followed by writing press releases and position papers for the Republican National Committee (1971-73) during the Watergate era. Before his return to San Diego, he worked for a year in Pennsylvania as a reporter for the Harrisburg Patriot-News. 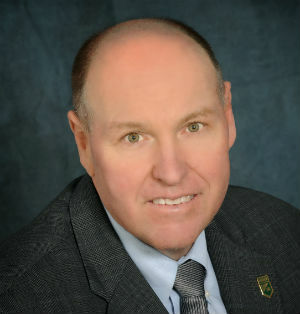 Until his final day on March 31, Showley also will have the title as the company’s longest current tenured employee, following the December 2017 retirement of Dave Cramer who worked in the newspaper’s circulation department for 47 years. The San Diego Union-Tribune currently employs about 260 people. “Fifteen years ago, we had 2,000 staffers,” said Showley, who estimates he has survived about a dozen layoffs and buyouts, which have been a common occurrence in the American journalism industry in recent years. Showley’s replacement covering growth and development will be Jeanette Steele, who also has reported on downtown redevelopment and Balboa Park, as well as the U.S. military and veterans’ issues. KSON Radio’s morning team of Tammy Lee and John Flint will emcee the 8th annual Randy Jones Run-Walk for Independence 5K on Saturday morning, Feb. 17, at Crown Point Park, 3700 Crown Point Drive in San Diego’s Mission Bay area. The fundraiser benefits the Home of Guiding Hands, a non-profit organization that provides services, training and advocacy to people with developmental and intellectual disabilities and their families. Now in their 18th year as a radio team, Flint and Lee previously spent 10 years in Madison, Wis., before joining the country music station in July 2011. KSON recently switched frequencies from 92.1-FM to 103.7-FM following the takeover of CBS Radio by Entercom Communications. Home of Guiding Hands said the fundraiser’s 500 participants are expected to raise more than $50,000 in support of the nonprofit’s programs and services. The three mile run-walk along San Diego Bay is scheduled to begin at 8:30 a.m. The top three finishers will be eligible to attend a future “HGH Day at the Padres” at Petco Park. For more event information, visit randyjonesrunwalk.org.